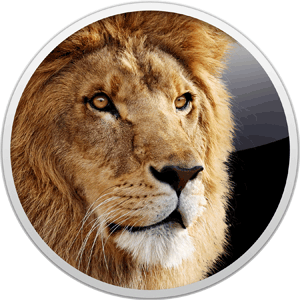 Recently, Apple announced that Mac OS X 10.7 (Lion) would ship in July of this year. We’re currently working on providing full support for 10.7 in all of our apps. We’re not there yet, but if you’re curious about what works on 10.7, you can check out the Status page to track our progress. While we can’t guarantee that all of our applications will have full support for 10.7 on the first day Lion is available, they will all be supported on 10.7 as soon as possible. Any updates needed to our current versions will of course be free, so if you’re looking to buy, there’s no need to wait. For now, we recommend our customers stick with Mac OS X 10.6 (Snow Leopard) until 10.7 is actually released. That said, if you are using Lion and our software, please get in touch if you run into a bug not mentioned on the Status page. Will Airfoil 3 be updated to work properly with 10.7? I have no real need for the changes added in Airfoil 4 but it’s important that I have 10.7 compatibility. Skip: It’s unlikely Airfoil 3 will be updated. It’s basic functionality will still work, but the Instant Hijack component won’t. You can keep using Airfoil 3, but you’ll want to stick with Mac OS X 10.6. If you’re moving to Mac OS X 10.7, we strongly recommend having the latest Airfoil as well. I know his isn’t the ideal place to post a question but I think many people are wondering…. Any idea on an ETA on Airfoil Speakers Touch for Android? Adam: Indeed, this isn’t an ideal place at all for many reasons, not least of which is we don’t check these comments with any regularity. We’ve never announced plans for Airfoil Speakers Touch for Android, and still haven’t. We’ll see what happens, but an ETA for a product we may never make? No, I’m afraid not. I purchased Airfoil 3 and happily upgraded to 4 because I think you guys make a great product. All the while, I have quietly hoped and waited for Android support as, while all of my computers are macs, all of our family phones are Android– and we intend to keep it that way. Your product is pretty good…… Android support would make it great. please release a beta/small update when possible that fixes the memory leak, or supply us with beta 4.5 or something..
Matt: So is it great, or just “pretty good”? 8) Anyhow, it’s something we’re interested in as well, but as I said, it’s certainly not something we’ve ever announced. We’ll see what happens in the future. speedy: We don’t have a beta, nor a small update, ready at this time – we’re focused on getting 4.5 out. If the official Lion release beats our release of Airfoil 4.5, we’ll have to consider doing this. Until then, however, sticking with Mac OS X 10.6 is recommended.